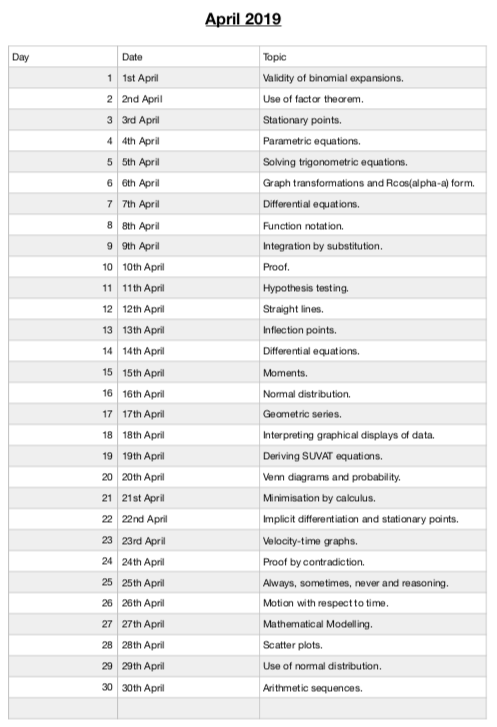 Those of you who have downloaded my Year 13 daily exam question resource that I posted a couple of weeks ago may be pleased to know that it has now been updated to include a question from the SAMS for every day in April. The updated file can be downloaded here. Do you provide solutions Year 13 Question per day? I haven’t yet…. they are all public ally accessible on the awarding bodies websites if you use the references under each question.